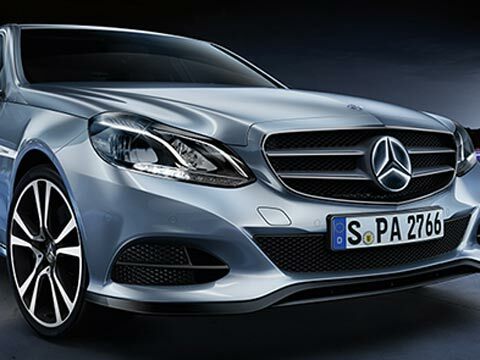 Finding immense potential in the pre-owned car segment, German luxury car maker Mercedes-Benz today said it will announce the launch of a separate brand for pre-owned cars this month, says a PTI report. Noting that customers here are now "increasingly" demanding quality products in pre-owned car segment, the luxury car maker says it sees "phenomenal" growth in country's pre-owned car segment, describing it as "next growth story" in luxury car business. "...The growth rate in pre-owned car (in India) is phenomenal. We (Mercedes-Benz) have seen 45 per cent growth in pre-owned car business this year," Mercedes-Benz India, MD & CEO Eberhard Kern said here today. Stating that pre-owned car segment was getting organised in India, he said the company would announce launch of pre-owned car brand in two weeks time. "In two weeks time, Mercedes-Benz India is going to launch a new pre-owned car brand....We will take the next big step in pre-owned car business," he said. Comparing the pre-owned car segment with global markets, he said that the "trading ratio" of pre-owned segment in India stands between 10 to 20 per cent which is "quite a low figure". "About 10-20 percent of trading ratio in India is a low figure if you compare globally. For example in Europe, it is one to one," he said adding that now it was "growing very fast" in India. "It (Pre-owned car segment) is the next growth story in India's luxury car segment," he observed adding, "Customers here are now demanding quality products in pre-owned (segment)." Kern said the company would be doing pre-owned car business with existing dealers and that it will offer very effective trading price to customers.The luxury car maker said the company would be looking at both metro and non-metro cities for the sale of premium segment cars with a focus on increasing product portfolios and bringing latest technology to India. "Besides metros, our focus will also be on tier II and tier-III cities as these are also getting more important," he said. Mercedes-Benz is getting 55 per cent of total volume from non-metro cities while rest from metros including Mumbai, and Delhi.The company's three-fourth business come from leasing and financing while one-fourth comes from cash, he said. Stating that the company "believes in future of Indian market", he said the company would clock more than 10,000 units this year, which will be the first time ever. During first nine months, Mercedes-Benz sold 7,529 units, 16 per cent up from sale of corresponding period while in Punjab it registered 23 per cent growth in volume.E-Class is the best selling model for Mercedes Benz in India, said Kern adding that M-class (SUV) has also posted 100 per cent growth. Talking about new trends in luxury car segment, he said "connected" cars and "autonomous driving" would be one of the biggest trends. Mercedes-Benz has 68 dealerships in 37 cities at present. "This year we have opened 13 outlets and 14th one will be opened in Madurai soon," he said.